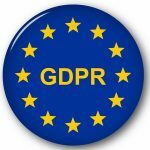 With GDPR (General Data Protection Regulation) being in full force since May 25, 2018, one must assume that the privacy and security of users are now fully protected. I think it’s an understatement to call that claim an over-exaggeration. GDPR is a European regulation designed to protect the privacy of European citizens, giving them full control over their personal information. For most website operators it translates to getting users’ permission before doing anything with their data and deleting that data upon request. While on the surface it is a well-intentioned law, little doubt remains that it has morphed into a giant confusion. Fact is no one really knows all the subtleties of this law and no one knows how to correctly implement it. First there was a barrage of emails from companies proclaiming that they had new privacy laws, except that who has the time to click on every email and read reams of legalese nonsense. Ironically, your privacy and security was just fine on this site prior to showing you the GDPR cookie notice. No data was being collected on you, no cookies were being stored on your browser, and no tracking was being done. Of course the Google services used on this site do some of those things and those are separately covered by Google’s privacy policies. Finally, how does the European law expect a small time blogger provide the same level of privacy provisions of Amazon or Facebook to its users? Those are companies with billions of dollars at their disposal and an army of developers, attorneys and consultants. Now comes GDPR with its esoteric rules to confound the small sites or even worse shut them down because they didn’t ask a silly question with a checkbox next to it. So much for democratizing the Internet where the small guys should have a shot at having their voice heard too. But for now GDPR is here so by all means, read the disclaimer, visit the privacy page and click the stupid button. Don’t worry, your private data is safe with this site, especially since it doesn’t even ask for it.